Despite being a normal day, even one where I didn’t do a lot of drawing, today was rather special. I finally made the first step towards selling. 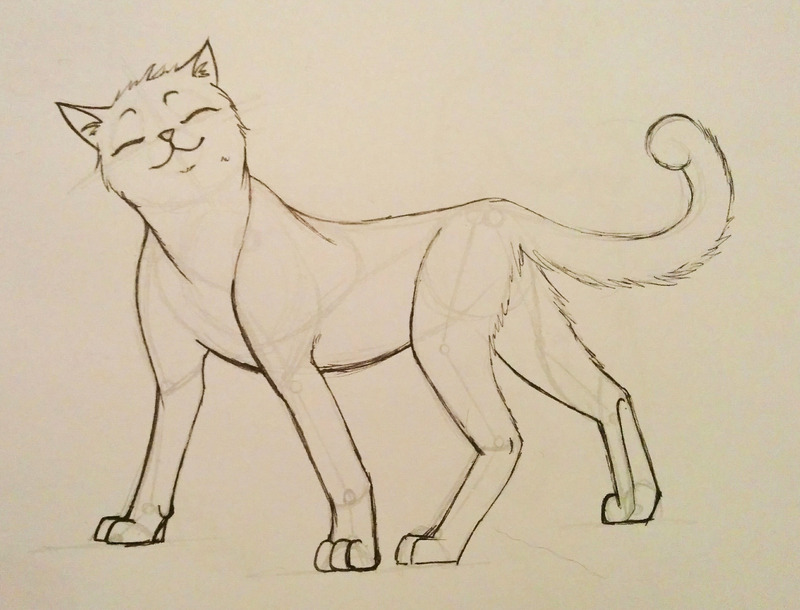 But first, here’s a picture I drew following a tutorial on how to draw a cat. This morning, I had to get up early and wait for a delivery, so I was doodling and thinking about shirt designs. I needed a break from space-cat today and decided to make a simple, retro design that I thought my partner would like. Within an hour I’d thought up the idea, drew it, and edited it, ready for uploading to a printing site. I chose Spreadshirt, as I know a few people who have used them, and they’ve been good so far. So I had to make an account, change password, fill in forms, change username, change password again, try to upload my image, shrink image, upload image, make product and wait for verification that I hadn’t infringed any copyrights. After all that this morning, I’m still waiting for it to show up in the shop. It said there would be a delay, and I’ve waited all day, so it’s hopefully going to be there tomorrow. I’ll let you guys know. Since I didn’t spend much time on it at all, and wanted to keep the cost down, I set my cut quite low, just to test the waters. For more detailed work, I’ll put it higher, as you can attach a price to each design that you upload, which is then added to the cost of production for the total. I’m quite excited and nervous, but this is probably a safe first step to take into the selling world. Just hope it lists soon. I’m not quite sure where this idea came from. That’s usually when I make the best things, and go into a slight creative trance, while watching TV shows. I’ve also been doing some paper mache for a project for the cats, so I managed to half cover myself in gesso, which is always fun. Just before bed, I printed out some T-shirt outlines to try and come up with some designs. I think my partner is getting tired of me talking about selling my art, and not actually doing it. I just wish there was a way I could do the art someone tells me, then they talk to people and sell things, then they give me some money… A bit like a job, really… But where I can be at home with minimal deadlines. Mmm. I downloaded an app to my smart phone, which is a simple paint program. I use it to jot down ideas that I can’t put into words, and capture images that are in my head whenever and wherever I am. Because it’s all digital, when I’m at my computer, I transfer the file and work on it with my proper tablet and Photoshop. This saves going through the scanning process, which isn’t too bad, but my printer doesn’t like my computer at random times. This also means I don’t need to carry pens and a range of pencils, a sharpener, an eraser and a blending stump (my basic travel art kit.) I did find a stylus, which works with any smart phone touch surface, that is nice, because I don’t lose the pen-in-hand feeling that I love when drawing. Even when I’m nervous holding something like a pencil in my hand is helpful. Perhaps, because I’ve always seen art as a way to have control over something when you feel you don’t have control over anything else. You control where the line goes, what the figures are doing, or what they look like. It may be small, but for me, it’s been a coping mechanism at times. Just another hurdle in the journey of artisthood. Woot! Inspection over. Many crafts to be done. 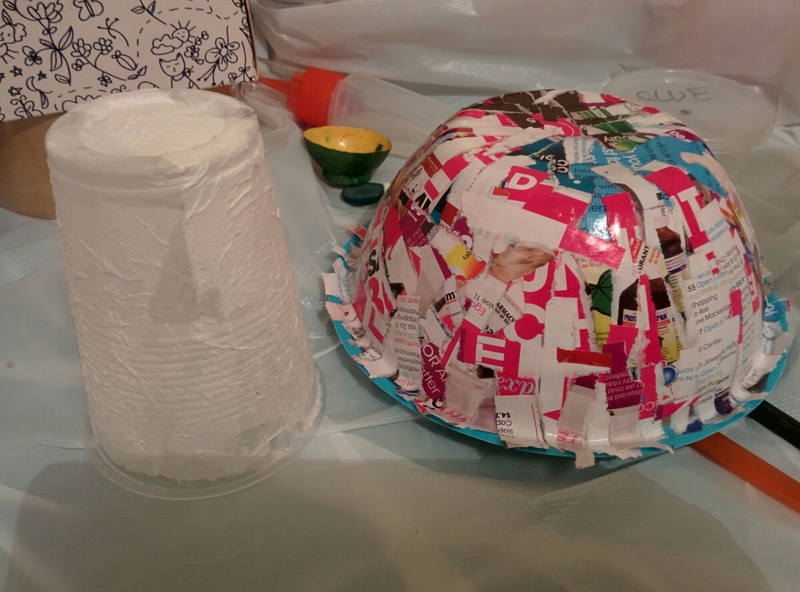 I began by heading straight to my craft room, and got out paper mache supplies. It’s more tedious than I remember, and I remember always giving up early, but this time I want to do it nice and sturdy. When I got tired of that, and waiting for drying, I researched prices of similar things to mine on Etsy. I was surprised at the range of prices. They either seemed too low or too high, nothing in the middle. It looked as though some people under appreciated the value of their art. I know it’ll always be hard appraising art, but I think skill, materials and work put in would factor greatly in this, making it easier to judge a price. It seems if you have the word wedding, or artist doll/teddy you can charge a lot more. I know there’s calculators for time/materials/self worth to figure out prices, but it would be nice to have a set amount. How am I supposed to know if my painting is worth that much. If I price too low, I’ll get less money and people might just buy it because it’s cheap, but if I price too high, I might be overstating my worth, and risk not selling anything. Maybe I’ll calculate and average. 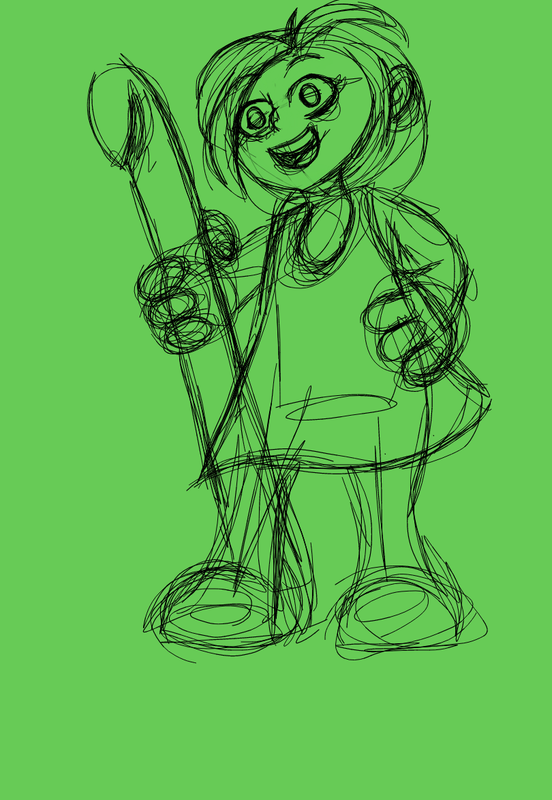 I did sketch out a couple of pictures on our tablet for some drawing ideas that I’ve had lately. They’re really rough, but I’ll transfer them to my computer to refine later. It’s a good way to get ideas out while watching movies or what not. I have so many notes and old books with sketches, so, I’ve started taking photos of them, and can put them all in a folder to draw when I’m out of ideas. Other than that, I fixed some pyjama pants and started a needle felted bee. Productive day, I’d say. 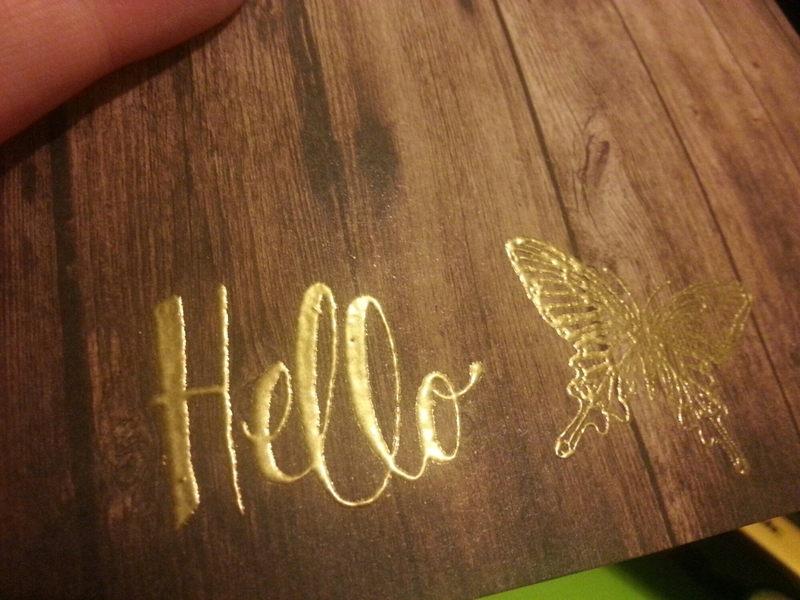 Doing some heat embossing tonight. My partner got annoyed at me moping about my lack of money and gave me a motivational speech about selling on esty. So, on top of homework and friends and family’s cards and presents, I have to get together some things just for selling. All sites I’ve looked at to prepare say about 20-25 items is a good starting point to have in stock. Luckily, I can make things one of a kind, so I don’t get bored. 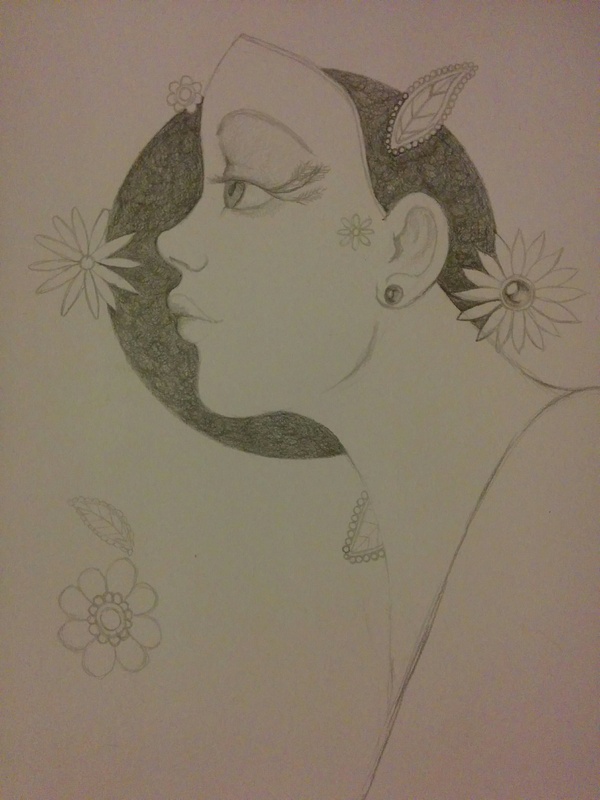 You should know how sporadic my creativity is by now. I’ll have to set some goals and timelines to keep on track, I think. Fairly sure I’m allergic to schedules. 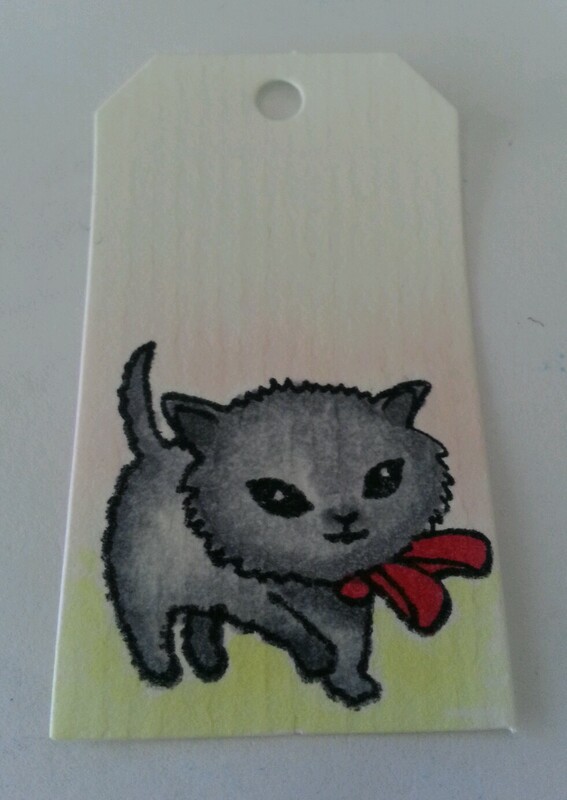 A gift tag with a stamp coloured as my little cat, Willow. I’m at the stage now, where money would be a lovely thing to have, and my strongest skill set, as you may know, is art and crafts. Unfortunately, my weakest point is people skills and selling myself, which happens to be higher in importance than creativity when selling arts and crafts. I could always monetize this blog, meaning I’d have to take real photos and put ads in, but I’m not sure about doing all that. Selling on etsy (or anywhere else for that matter) scares me. Sure there are plenty of things I could sell and I’ve seen plenty of things on there that would be below my standards of what I’d sell, but I still have a fear that something will go wrong. If I forget a package, or get sick and can’t work, I’d be so upset. I’m not good with stress and I’m unorganised and often lose motivation when left to my own devices. I’ve read countless selling guides, have selling calculator apps, lists upon lists of ideas of things to sell and everyone I know (and some I don’t) telling me that I should set up shop. Although it seems like its all thought through and researched, I have a ways to go before I’ll be able to sell. Perhaps this will be a log of my journey. Trying to make embellishments. 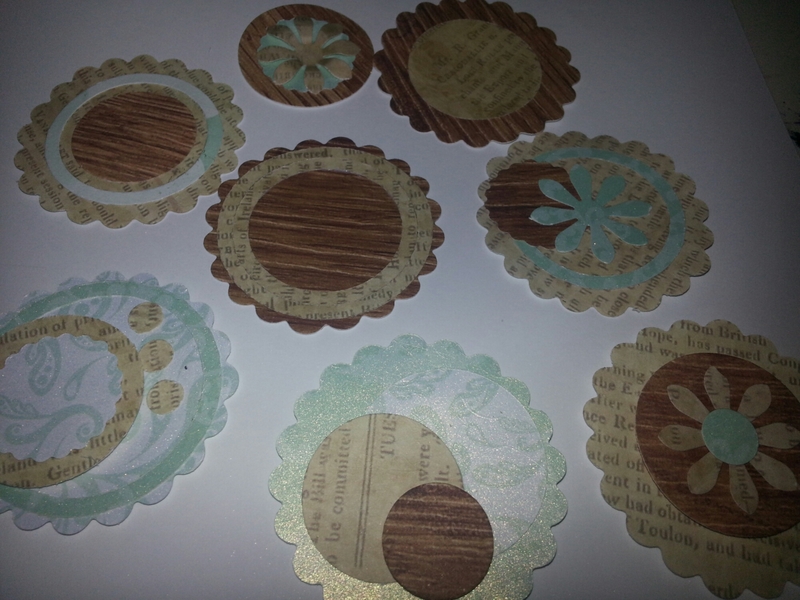 Yesterday I cut out shapes from random papers and played around with matching but was rather unsuccessful. This time, I made sure to use a limited range, all from the same paper pack, making it easier. Maybe using more shapes and adding blings will give variety and make them look better. I hope. I like them but they need more. The problem is that they can’t overpower whatever they’re embellishing, but need to be pretty enough to be worth putting there. Maybe I’m over thinking it, which doesn’t work well with me. I read that it’s recommended to have 25 things ready for opening an easy shop, so I’m thinking up things I can do. It’s nerve wrecking for me, but selling my things has been a goal for a while. I need to break through the anxiety. After seeing some things that are listed on etsy, I shouldn’t feel so bad about whether people will like my crafts. I don’t see myself as a salesperson, but that’s how it works, I suppose. Today I got angry. Mainly at the fact my body doesn’t work as well as it should and I couldn’t do as much as I wanted. 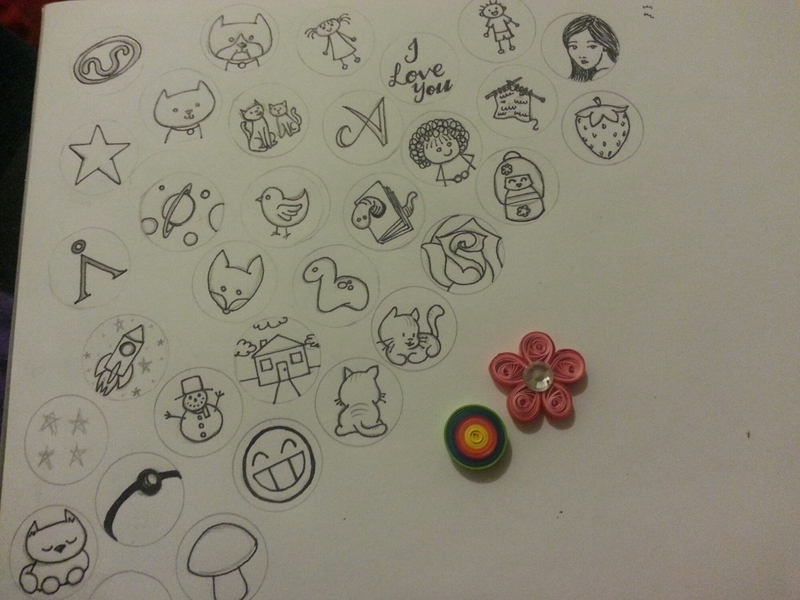 I began drawing more circles for pendants, this time using my own drawings. I got about a third of the page inked before my hand cramped too much to do any more. My partner really wants me to make stuff to sell and said I should set a goal of selling to buy a 72 set of copic markers. I suppose I’m afraid of failure or something because I keep putting it off. Maybe it’ll be good to have a goal. I really want those markers. 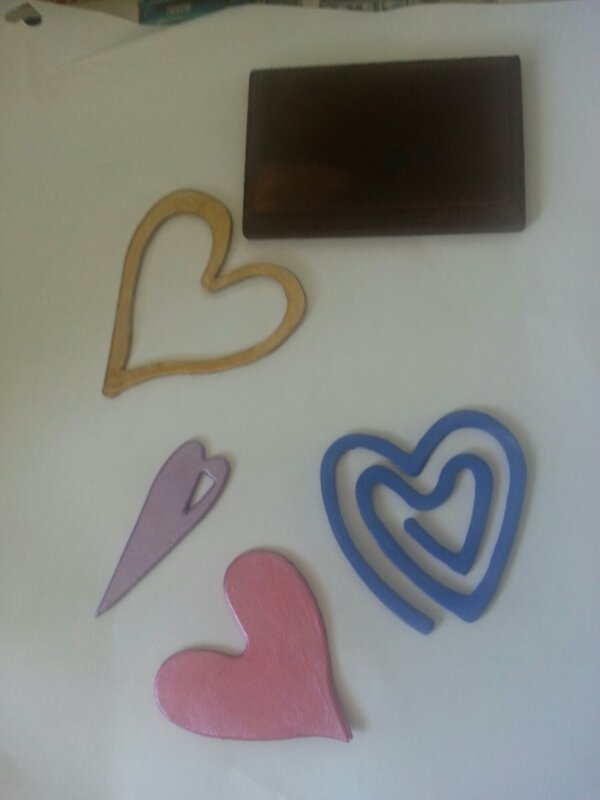 I tried some quilling, incase I feel like doing some on cards I make. It was a bit annoying amd not great fun. The Internet makes it look easy. All today was thinking about selling crafts. I thought about what to make, how much to make, costs and locations. I even went to the library to look up books, then decided the Internet probably had more information and no due dates. I even looked up copyright laws on selling items made from a pattern. I found it surprisingly tricky thinking of things I can do that didn’t come from patterns and would be nice to make. As for costs, my friends priced me between $5 and a $bajillionty per hour… not sure asking them helped.